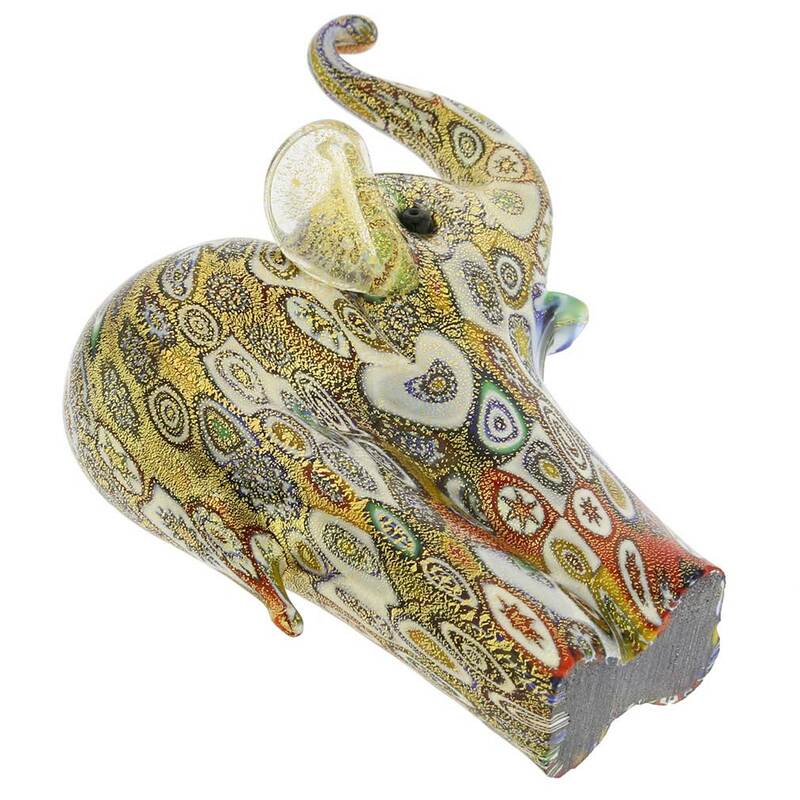 This whimsical Murano Glass elephant is created in one of the most popular and distinctive Murano techniques- Millefiori (a thousand flowers)- that has become a trademark of Murano glass making. Vivid stylized flowers on rich golden background create an impression of magical quilt, whose fragile beauty is impossible to describe. 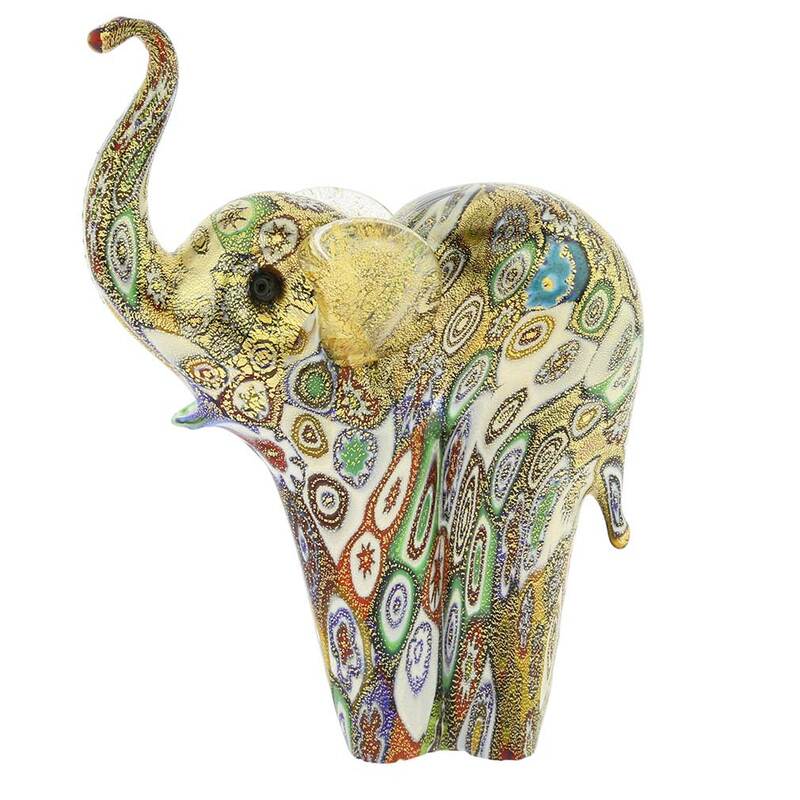 The unusual and festive look of millefiori glass gives this Venetian elephant sculpture a fairy-tale feel and reminds one of far-away exotic lands where these amazing animals live. 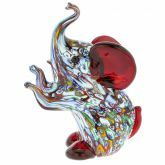 This Murano Millefiori Elephant sculpture will become the focus of attention in any room of your house and will really shine with all its gorgeous warm colors when light reflects on it. 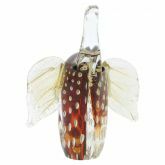 The Murano Glass elephant also makes a uniquely appropriate present to the special people in your life, as it is truly a one-of-a-kind piece of art. 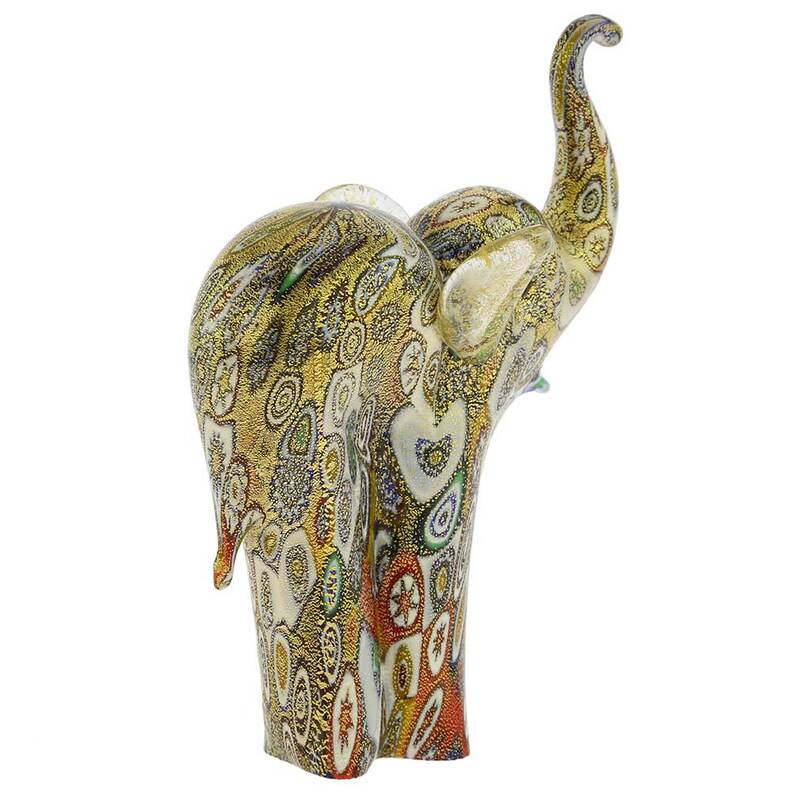 Pair it with other items from Golden Quilt Millefiori Collection for a more striking effect. 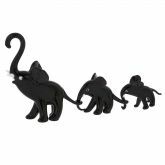 Measurements: The elephant is 4.5 inches tall and 3 inches wide in its widest part. It comes with a certificate of authenticity. 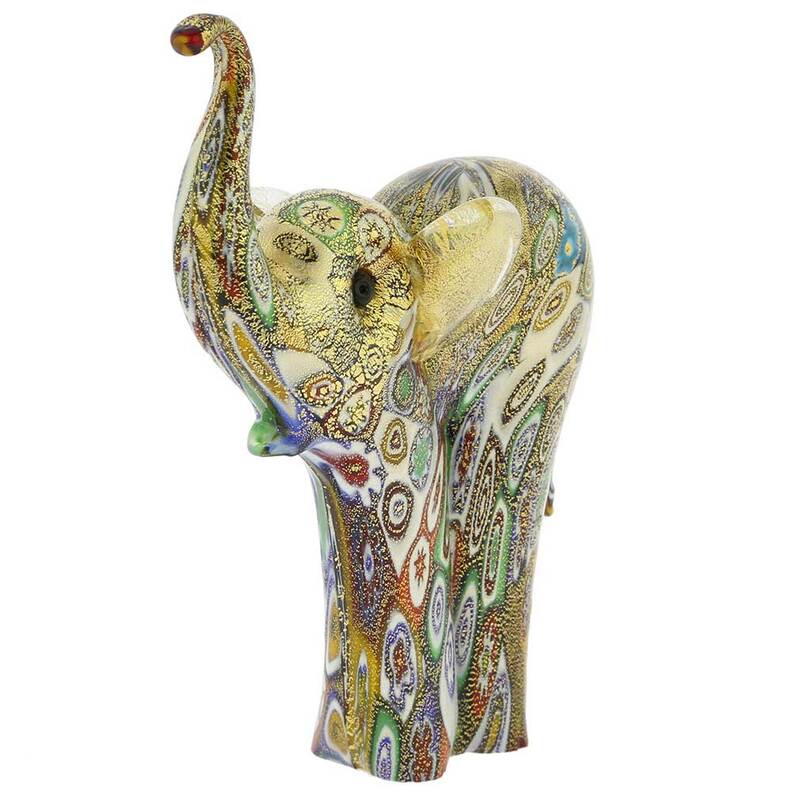 This sculpture is a part of Murano Glass Golden Quilt Millefiori Collection. He is truly beautiful! Do wish he were a bit taller. 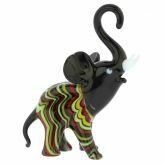 We purchased this for our friend who collects elephants, and it was truly STUNNING! 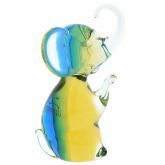 We will be purchasing from your site again! 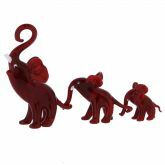 excellent delivery, just as pictured, am so pleased with the purchase. Thank you so much!!!! Nice but smaller than I expected.